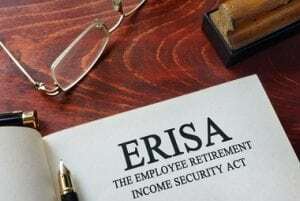 What Does ERISA Mean for Employers? ERISA was developed to set minimum standards for pension plans, specifically for the private industry sector. It gives employers the rules they must follow for providing these retirement benefits to their staff, including when they qualify and how the benefits are paid out. Here are some details that will be important to know if you’re considering implementing a plan or need to regulate it within your company. What information do you need to provide to your staff? ERISA requires that companies provide information about the plan to their employees, specifically regarding features and funding. It must provide this information regularly as well as automatically. Some of this information will be available for free, but other aspects may have a small fee. What minimum standards must you enforce? The act establishes the minimum standards for the plan, including participation, vesting, benefit accrual and funding. It defines how long individuals are required to work before being eligible for plan participation and for accumulating benefits. It also establishes a non-forfeitable right to those benefits for participants. The law also has detailed rules about funding for the plan. What is the accountability of plan fiduciaries? Under ERISA, there is a requirement for accountability for the plan fiduciaries. A fiduciary is anyone who has control or discretionary authority over the plan. This includes the ability to make decisions about the plan’s management and assets, and anyone who provides investment advice. If the fiduciary does not follow ERISA’s established code of conduct, he or she may be held responsible for losses. With the act, participants have the right to sue for breaches of this fiduciary duty. What plan guarantees do you need to make? The most important guarantee of ERISA is the payment of certain benefits if the plan is terminated. This is handled through a federally chartered corporation known as the Pension Benefit Guaranty Corporation. It is important to note that ERISA doesn’t require that private businesses create retirement plans for their employees, but does required such plans to be managed according to a set of rules.